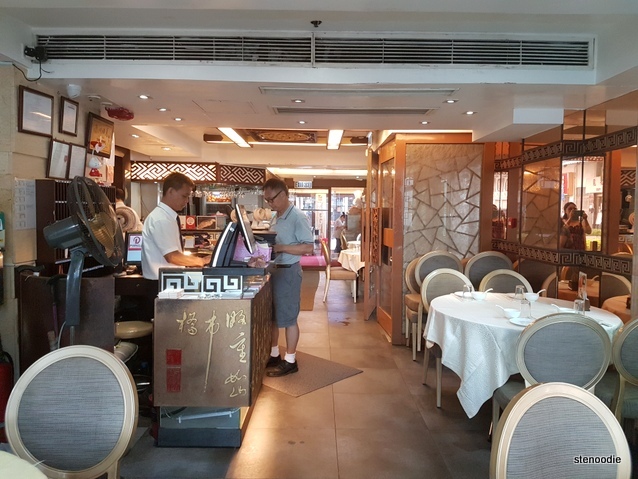 September 22, 2017: Like I said, after my first light lunch at Blacksmith Tea House, I reunited with my mom again and we went to Sai Kung Chuen Kee Seafood Restaurant (全記海鮮菜館) on Hoi Pong Street. 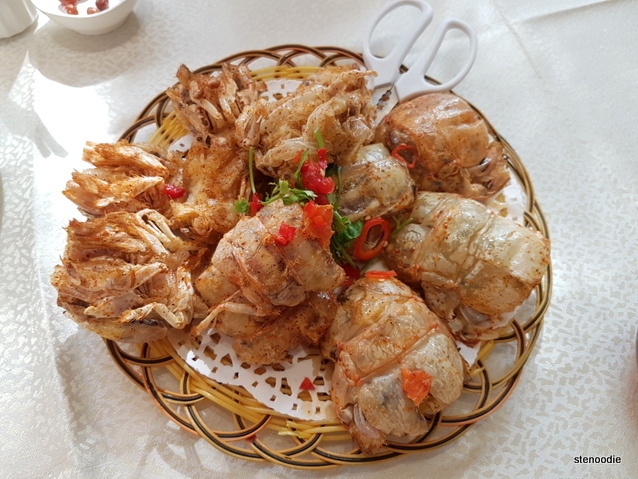 Our sole purpose here was to dine on mantis shrimp. 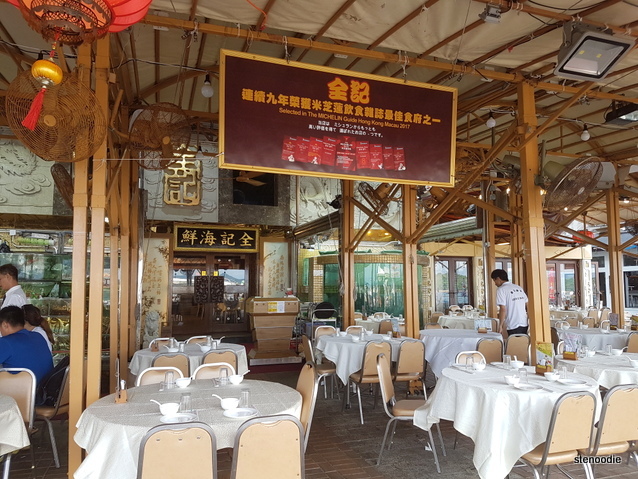 There is probably no better place in the world of which to eat good fresh seafood and mantis shrimp happens to be just one of the amazing eats at these Sai Kung restaurants near the harbour. My family and I usually go to the other seafood restaurant but my mom and I decided on this one to try it out. 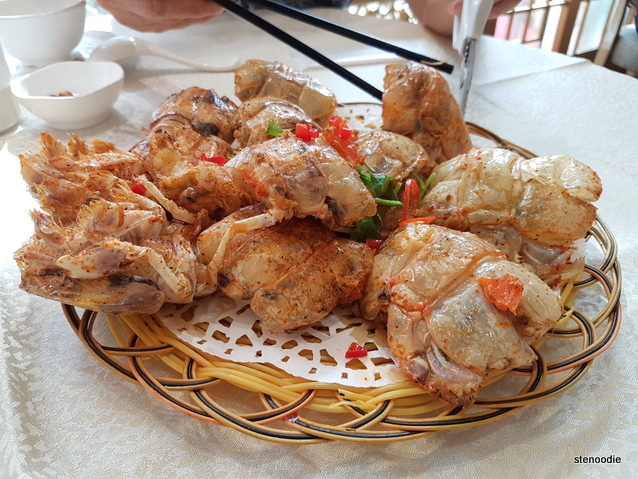 Although they had really good two-person, four-person combos, and so on, we decided to just eat mantis shrimp exclusively since the two-person combo only included one catty of it. 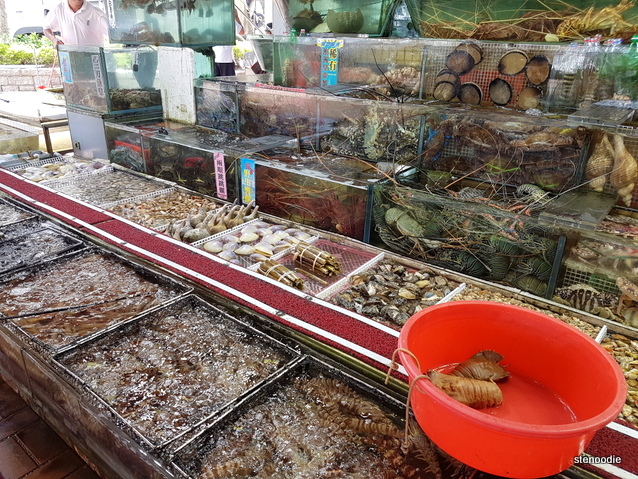 Like the other seafood restaurants on Hoi Pong Street, they display all of their seafood outside in huge tanks. 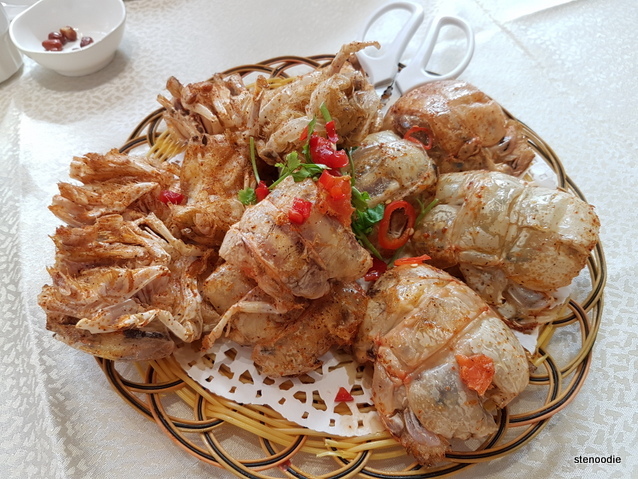 Since we were ordering a la carte, we actually could choose the mantis shrimp ourselves first. 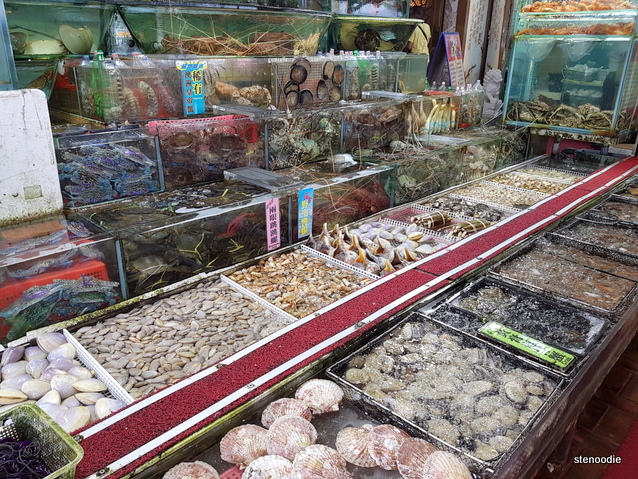 So many types of sea life! 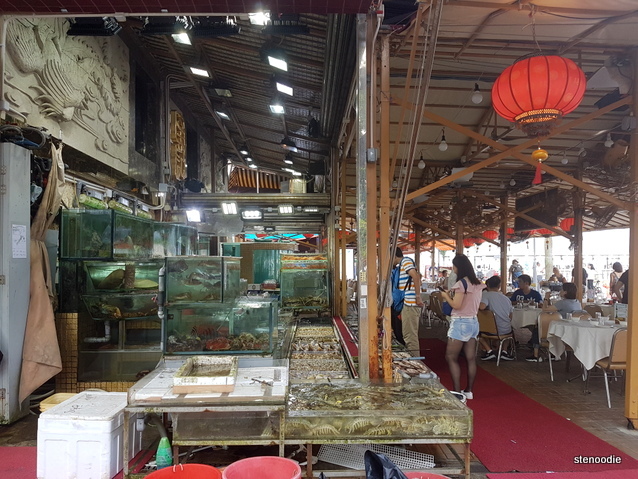 The seafood handler took out three mantis shrimp for us, two with more meat and one with more tomalley. 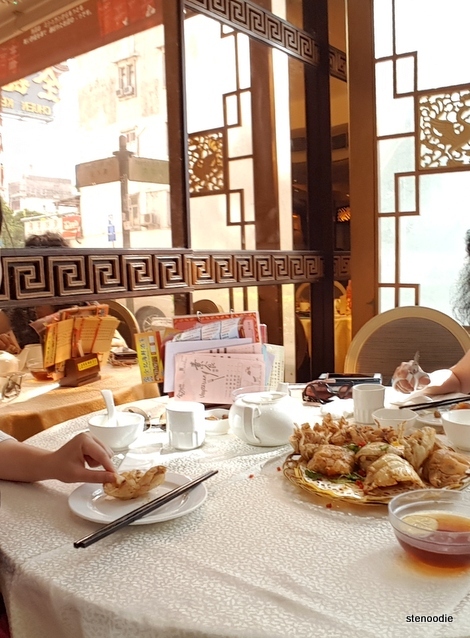 We negotiated a firm price of $288 HKD per catty of the mantis shrimp and asked the hostess to throw in a free plate of veggies too. After a bit of hemming and hawing, she gave in and led us inside to a table for our lunch. 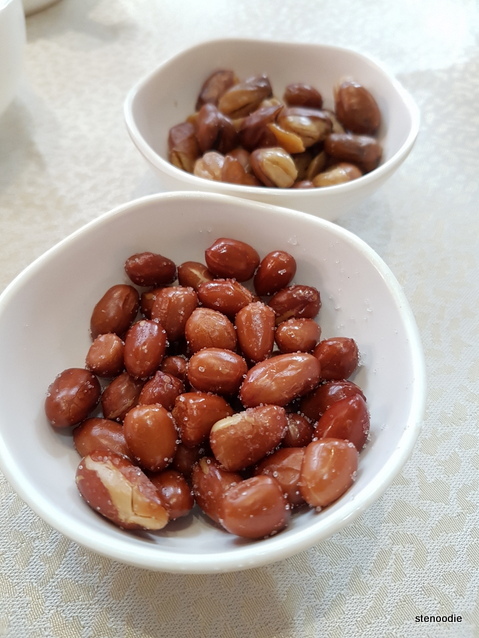 There were two types of peanuts on the table which I quite enjoyed! I usually don’t like peanuts at all. 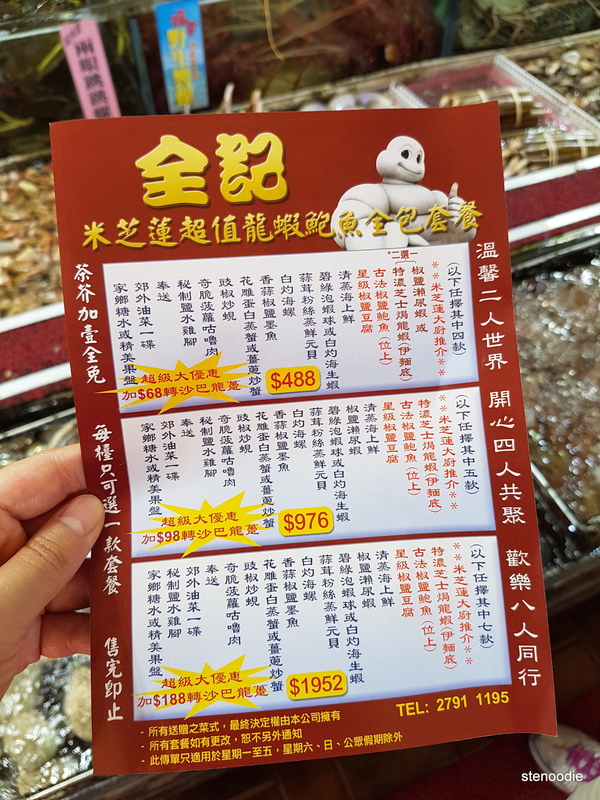 My favourite thing to eat in Sai Kung! 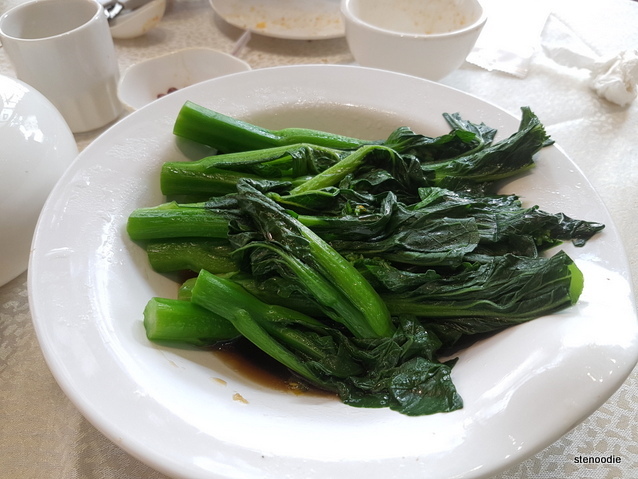 We had our free dish of boiled veggies too which turned out to be a really good size. 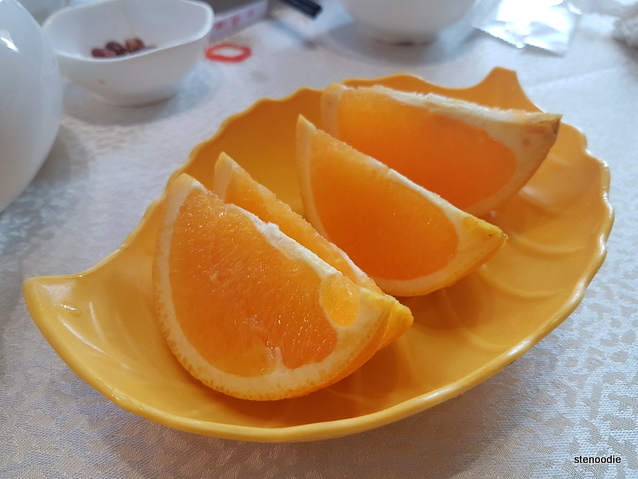 A plate of complimentary fruit was also included. Sweet oranges! 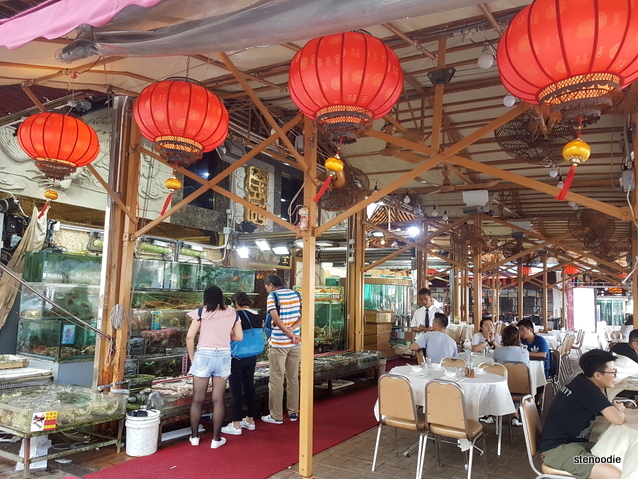 This entry was posted in Food, Travel and tagged 47-71 Sai Kung Hoi Pong St, Chuen Kee Seafood Restaurant mantis shrimp, 西貢萬年街87-89號地下, food blog, foodie, fried salt and peppered mantis shrimp, Hong Kong, Hong Kong restaurants, mantis shrimp, restaurant review, Sai Kung, Sai Kung Chuen Kee Seafood Restaurant, Sai Kung Chuen Kee Seafood Restaurant combos and prices, Sai Kung Chuen Kee Seafood Restaurant seafood tanks, Sai Kung seafood restaurants, salt and pepper mantis shrimp, seafood in Hong Kong, where to eat mantis shrimp Hong Kong, 全記海鮮菜館, 椒鹽瀨尿蝦. Bookmark the permalink. It looks delicious! 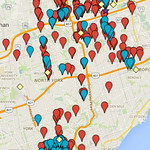 Can you tell me how to get here from TST area? Thanks in advance! Aw, you’re very sweet. Thank you so much! 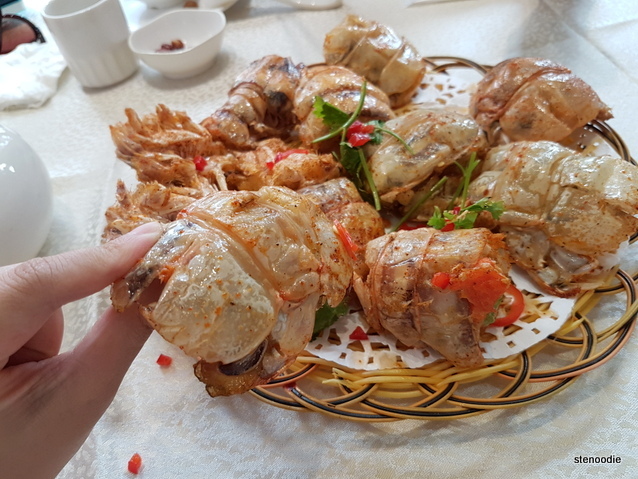 🙂 Yes, you have to try mantis shrimp when you go to HK next time (or you are already there). It’s the best and so fresh there! 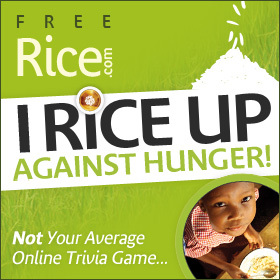 :9 A lot of restaurants will serve it.